A truck accident is always traumatic and can be quite serious. 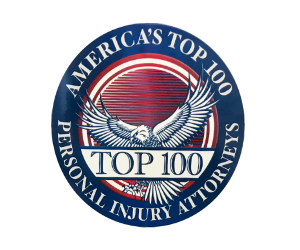 You may be dealing with substantial injuries or even the death of a loved one. It’s not always clear what steps you should take during this difficult time. Here are some of the first things you should do after an accident. You’re liable to be shaken up from the experience, but try to remember that you need to call the police. It’s important to document any accident, but especially a truck accident, as there may be different parties responsible and different reasons for the accident. A police report will have a record of all the details of the accident, such as weather and road conditions.Make sure that the name and insurance information for the truck driver is in the report, or that you have obtained it separately. Make sure you have an accurate report to support your case. Be careful what you say… the less, the better. Do not offer apologies, admission of guilt, or any other statements to people at the scene. Talk to the police and limit yourself to that. If you can, collect as much evidence as you can from the scene. This includes, but is not limited to, photos of the damage and the roadway, along with names and contact information for any witnesses. If there is other information you want to remember about the circumstances, make a note of that as well. You may not know the extent of your injuries right away. Most people go into shock after an accident. With a truck accident, it’s likely that you have injuries, and you should protect your health and get checked out right away. As we mentioned before, truck accidents are complicated. Don’t rely on the insurance companies to look out for you. Get a personal injury lawyer that specializes in truck accidents in your locality to help you with the process. You need to focus on recovering from the accident and let someone with experience handle all the ins and outs of claiming damages related to the truck accident. Truck accident attorneys offer free consultations, and they get paid after your settlement. So, you can’t afford NOT to have one. You can bet that the truck driver and trucking company that owns the truck will be using one and that they will be active from the start, so don’t put yourself at a disadvantage. Keep everything related to the accident in one place, to make it easier for your attorney to work your case for you. You want to keep records of lost wages, medical bills, transportation to medical appointments, and any property damage. Also, keep any photographic evidence you have with these other documents so that you are organized and don’t have to go looking for things later. Use these tips and help yourself and your truck accident attorney to a smoother process as you move towards receiving your settlement for the accident.